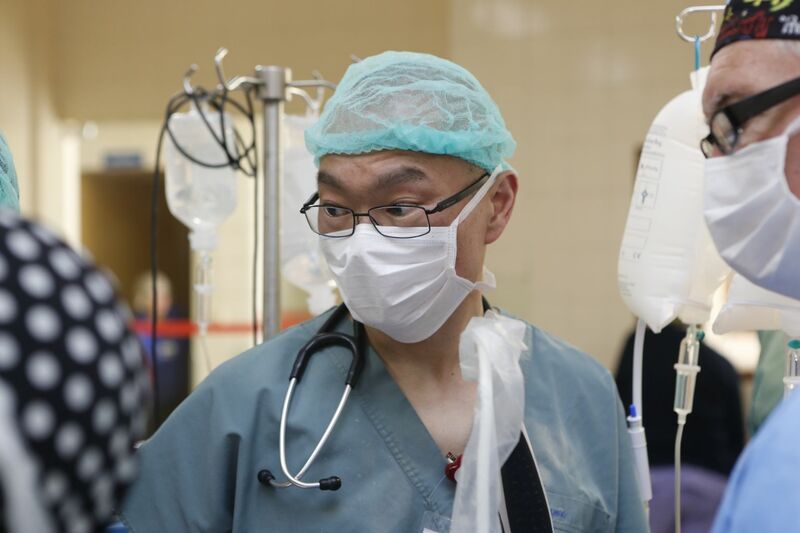 What’s it like when you put a group of Medical Professionals, intent on making a difference, together in a country far from home, where few people speak the same language? It’s lively and it’s very hard to keep up. 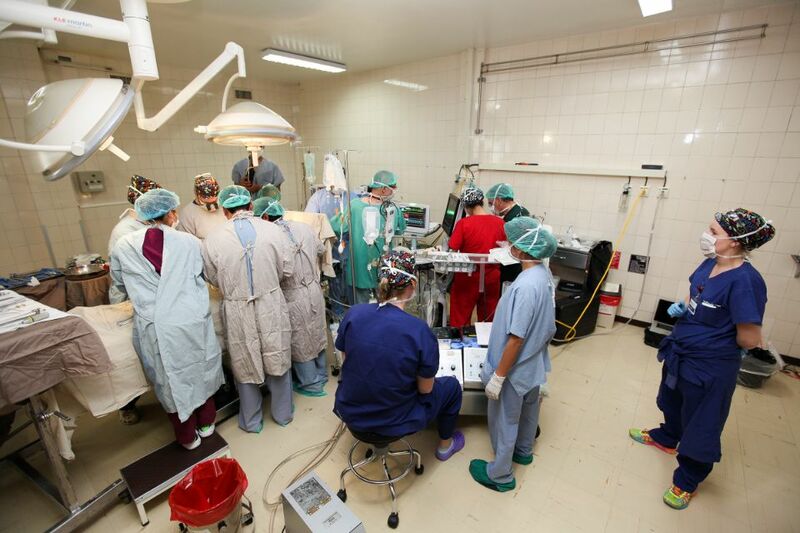 Working from early to late, in demanding conditions, on complicated cases, the Open Heart International (OHI) team continue to be as inspiring as they are unstoppable. It is amazing, and an incredible privilege to watch. Today I spoke to Wilson (via Daisy who translated). 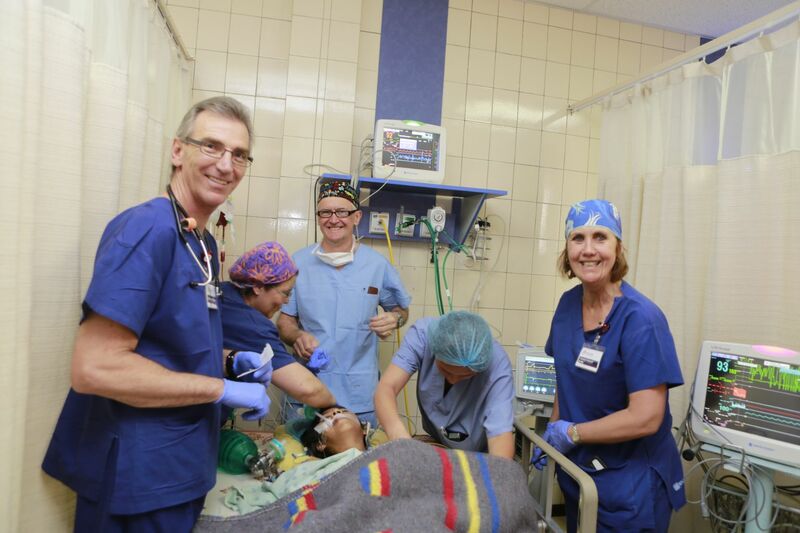 He was OHI’s first patient in Bolivia. Today he is out of ICU and recovering well. With tears running down his cheeks he explained what life had been like since he was diagnosed ten years ago with a heart condition. He was just 16. Wilson comes from San Carlos, a small village an hour outside the city of Santa Cruz in Bolivia. He and his mother did not have a home of their own, they made-do house sitting for others. Like most boys his age Wilson loved sports, especially to run and play ball, but increasingly he found even walking left him breathless. 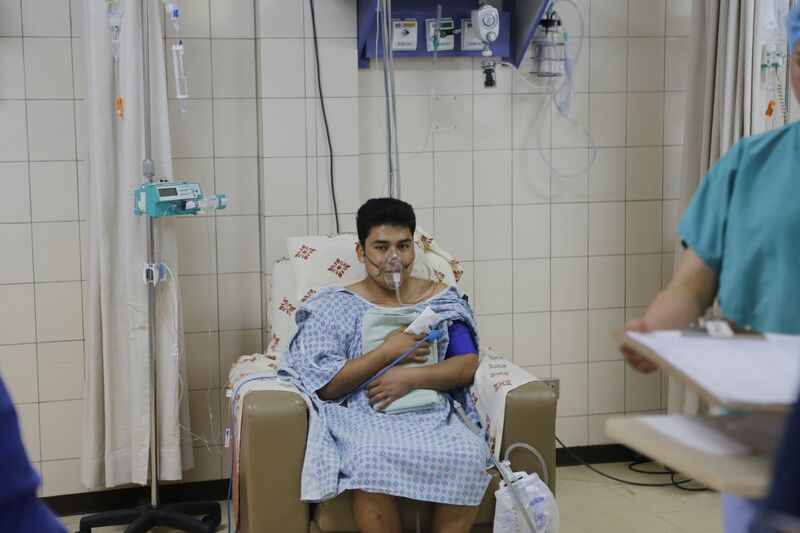 The diagnosis of heart disease left him and his family devastated, as they did not have, or any prospect of raising, the money required to pay for the surgery he needed to save his life. Now he can scarcely believe ‘the miracle’ that has delivered him a new chance at a full and happy life. Wilson said, “I want to take care of my mother, work as a teacher, and marry my fiancée. 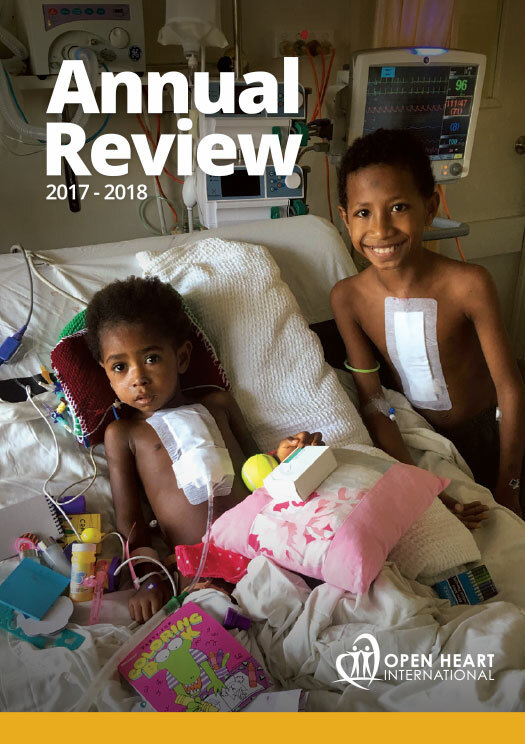 There are no words to describe how grateful I am to the beautiful people who have made this possible.” It took a little while to convey all this – he was crying, Daisy was crying, and in the end so was I.
I had observed Wilson’s entire journey from frightened patient waiting anxiously in the wards, to his open-heart surgery, initial recovery and now his great hope for the future. It was a humbling and moving experience. And of course Wilson is not the only one. Surgery resumed this morning and Dr. Ian Nicholson and the medical team worked tirelessly all day, declining even to pause for lunch. 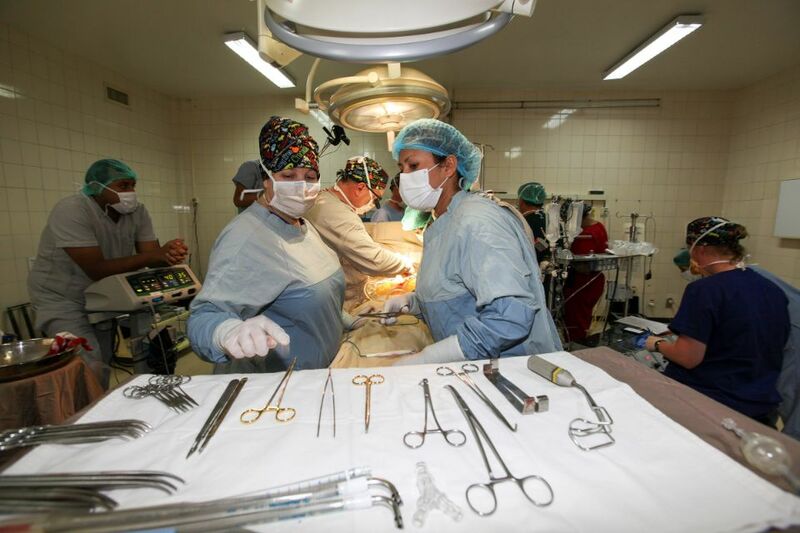 They operated on a thirty-year-old woman who was not expected to live much longer. 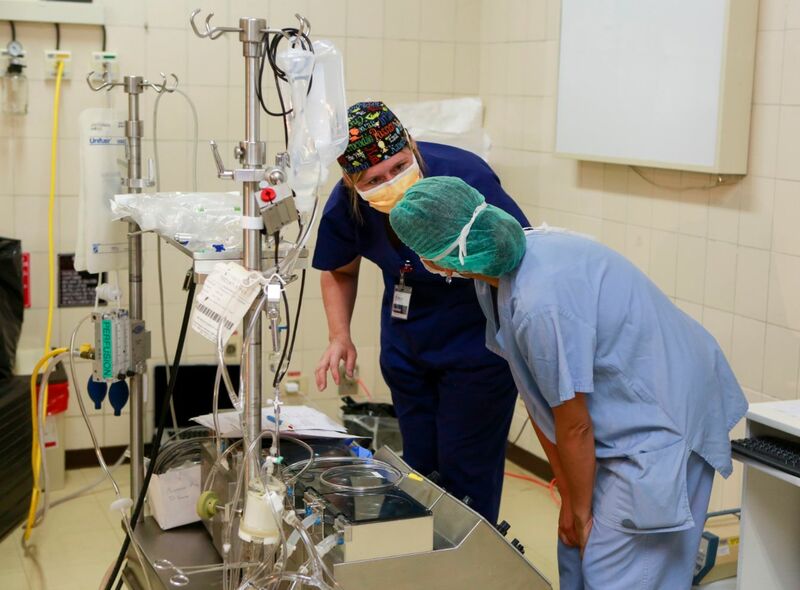 Rocio DeDruz suffered from ‘Rheumatic Heart Disease’, ‘severe mixed mitral valve disease’, mitral regurgitation, advanced heart failure, and other complications. She had a ‘mechanical mitral valve replacement’ and a ‘repair of the tricuspid valve’, amongst other things. The intricate and lengthy surgery was successful. 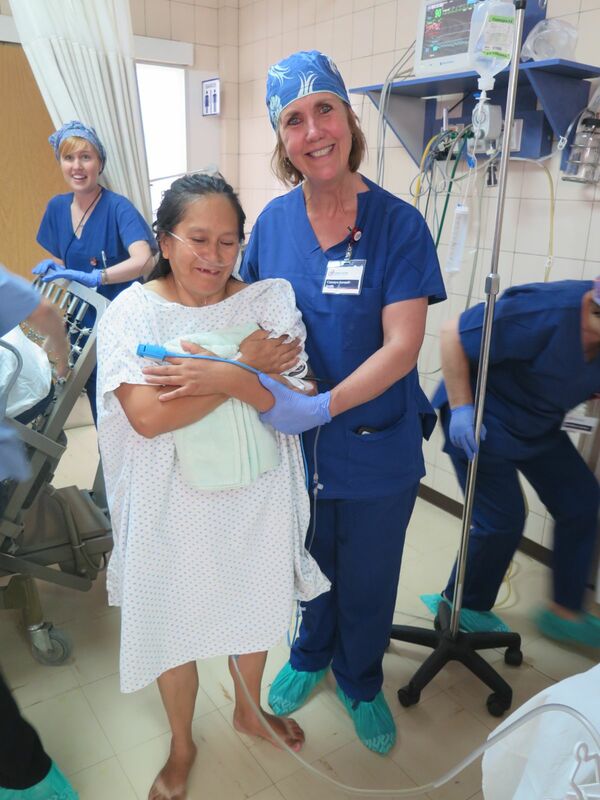 Rocio is recovering under the care of the ICU team. 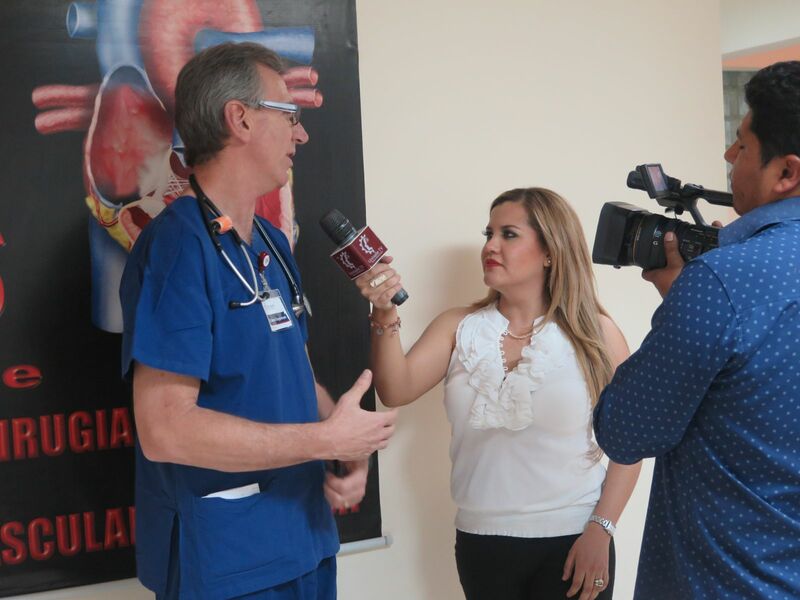 Dr. Singleman is working closely with local Intensivist Dr Juan Candia, who recently returned from ten years working in Buenos Aires and Nursing Unit Manager, Siliva Guzman Zambrana who was praised by the OHI nurses as ‘outstanding and incredibly hard working’. 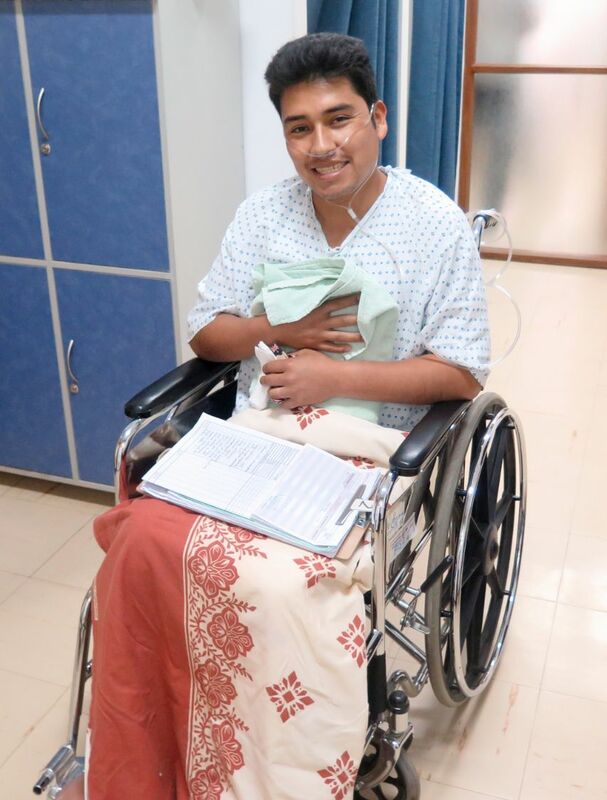 The next patient, a young man also in his thirties suffered from an ‘aortic fistula of the right ventricle’. 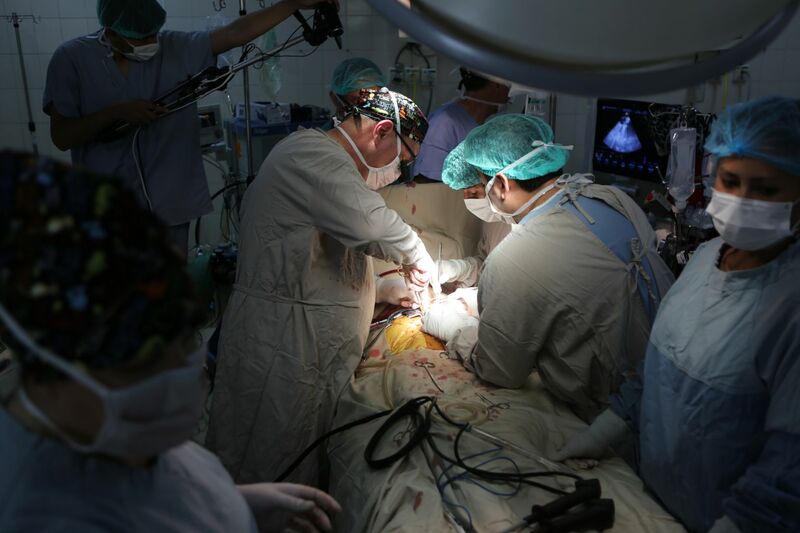 Without surgery he would die, and OHI was his only hope. He too is now in ICU. 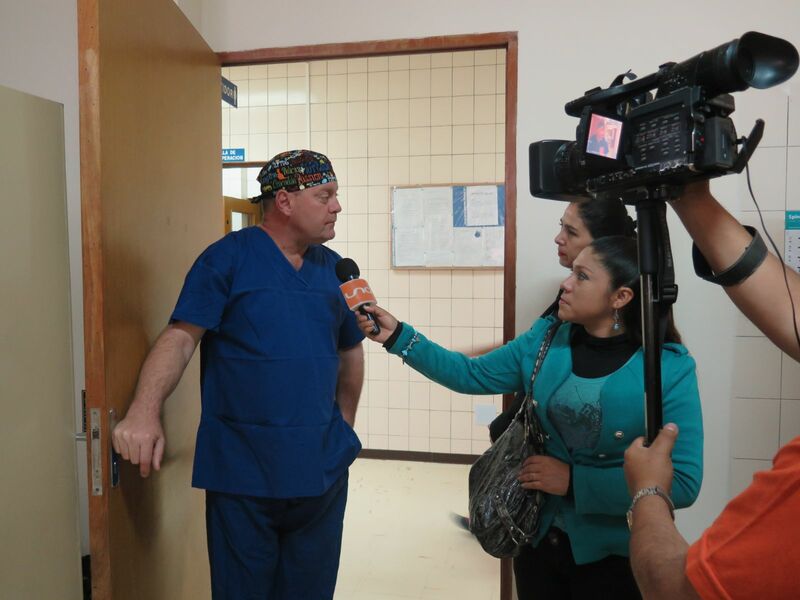 Bolivian media continue to find the work of OHI inspiring. Another film crew were at the hospital today, and many of the OHI team took time-out to give interviews. It really is impossible to put into words how hard this amazing team of professionals are working. They are making a profound difference.